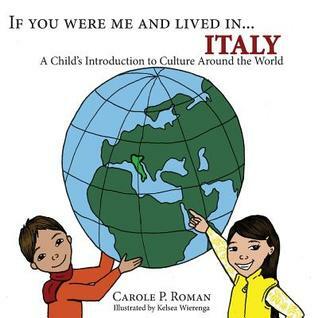 IF YOU WERE ME AND LIVED IN ITALY - Join Carole P. Roman as she visits the Republic of Italy. Learn what it is like to live in Rome, see the famous architecture, celebrate a favorite holiday and discover popular names for both boys and girls. Be fascinated with it's diverse and rich history and colorful traditions. On the way, you might learn a word or two in Italian! 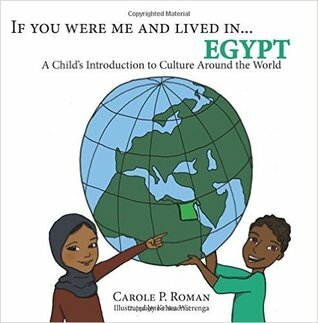 IF YOU WERE ME AND LIVED IN EGYPT - Join Carole P. Roman when she visits the stunning and exciting land of Egypt in the newest book of her informative series. Learn why this ancient land often called "the cradle of civilization." Travel down the Nile to discover Egypt's fascinating history. See the land through the eyes of a youngster like you and understand what life is like in this exotic place. Don't forget to look at the other books in the series so that you can be an armchair world traveler. BEING A CAPTAIN IS HARD WORK - Captain No Beard is determined to travel to Dew Rite Volcano. He won't listen when Mongo predicts a storm or Linus indicates they are headed in the wrong direction. He insists Polly cook in the galley even though the seas are getting rough. What's a crew to do with a stubborn, know-it-all captain? Will they convince the captain he is barreling headlong into danger, or will Captain No Beard jeopardize both his safety and the crew’s with his single-minded determination to go where he wants? ROCKET-BYE - Carole P. Roman travels to the stars, orbiting the moon and rocketing past planets in this adorable journey to the far reaches of the galaxy. A beautiful bedtime poem, this verse is sure to delight any child before they go to sleep. IF YOU WERE ME AND LIVED IN ITALY - I love these books. They are so great for little kids. It's a great way to expose them to new countries, and cultures! It's fun to learn the words for simple things like Mom, Dad, Grandma, and Grandpa. You learn about what they are famous for. It's just a great book to expose little kids to new cultures. IF YOU WERE ME AND LIVED IN EGYPT - Another book in Roman's series of countries. Each ones of these books has interesting facts about the country. Egypt is a transcontinental country, which means is it both in Africa and Egypt. Just fun facts. Sweet, short stories for kids. Full of fun facts! 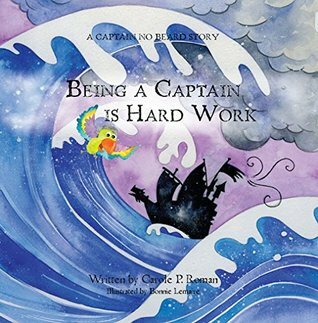 BEING A CAPTAIN IS HARD WORK - I love the stories of Captain No Beard. They always teach a lesson and have little facts in them as well. They keep kids interested in fun facts about the world, through wonderful illustrations, and adventures. This particular Captain No Beard teaches about clouds, and what kinds there are, and stubbornness. Brings kids attention to being willing to listen to others. Sweet, fun, beautiful book. 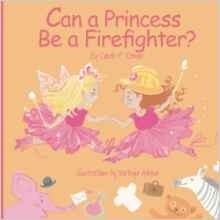 CAN A PRINCESS BE A FIREFIGHTER? - Again Roman teaches a wonderful lesson in this book. I LOVED this book. LOVED IT! This book teaches little girls that they can be anything they want if they just put their minds to it. I love stories that teach kids that they can dream and set goals and have a good time doing it. Such a sweet, sweet book. ROCKET-BYE - This is another fun book. This is a bed time story that teaches about the stars, and the planets. What a fun way to teach kids about the universe. I even learned more about the stars. It was fun. I love it when authors bring things to life for kids that are facts they probably wouldn't be interested in any other way, at a young age. I have been consuming audio books like crazy lately. There has just been too much to do around here to be able to sit down and actually read a book. Thank goodness I love audio books :). Kricket, is a run away. She is living with her best friend Bridgett that she met in the foster care system. Bridgett is 18 and graduated from social services, so Kricket ran away to live with her until she turns 18. Kricket keeps odd jobs that pay her under the table so that she can stay hidden from social services. That is until one day on the train she meets three men, who seem to know her, and narrowly escapes. Unfortunately, there are more men out looking for her as well. Trey and his men have been sent to Earth to find Kricket and return her to Ethar. Kricket isn't too keen on this plan but knows that she can "trust" Trey and his friends. Kricket has a gift for knowing when someone is telling the truth or not. 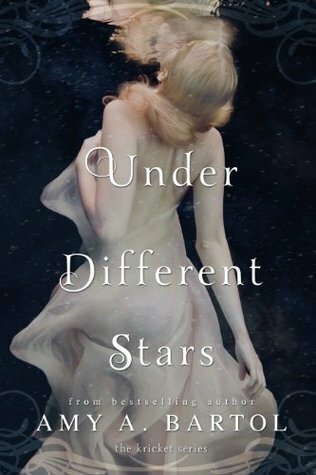 As their journey takes them back to Ethar, Kricket learns more about her family than she has ever known. Kricket cannot seem to wrap her head around the fact that she may be a priestess in Ethar, when all she wants is to return to Earth to be with her friends. This story was so fantastic. Kricket is such a great, strong character. She is witty, and funny all in one. Kricket is determined to make those around her know she can take care of herself. Yet, someone always wants something from her. On Ethar Krickets ability to know when someone is lying comes in handy. Kricket has some growing feelings for Trey. Listening to their story unfold was so much fun. I cannot wait to see what the next book brings. The world that Bartol has built is wonderful. The characters that she brings to life in this book are amazing. Her story telling ability is beautiful. Bring on book 2 :)! Secrets will be revealed, loyalties tested and trust broken. Are you ready to return to The Shade? So much is happening in this book. Will Derek and Sofia and their band of vampires be able to defeat the Elders? Will Sofia and Derek be able to convince the Ageless, and the Hawks to join forces against the Elders, and bring peace back to the shade? So many questions. So many factors need to fall into place in this book. I have loved the journey this series has taken. I love that regardless of what Sofia and Derek are faced with they always seem to find a way back to each other. I love how fiercely loyal some of the Shade vampires, and humans are to Derek and Sofia. I really love how Sofia can always find the good in any situation. The battle for what is right is fantastic through the whole series. I love how this book wrapped everything up into a nice little bow. That is how all books should end in my opinion. If a series ends bad then it ruins the whole thing for me. I know that there is more books to this story, but this book ends the way I wanted it to, so I think I am going to take a break from it for a while. I need to revel in the fact that everyone is living happily ever after for a while. Plus I don't want the continuation to end in a way I don't see fit ;). Then it will ruin the whole series for me. If you like vampire stories, with suspense, battles, friendships, unlikely alliances, and romance, then pick this series up. I think you will enjoy it. It's a sappy love story, but sometimes that is what I am in the mood for. Finally things seem to be going well for Sofia and Derek. They finally get some much needed time together and away from the Shade, and all the evil that has been going on. Or so they thought. Derek and Sofia bask in the sun for a while, enjoying Derek's life as a human. Sofia gets to introduce him to food, and dancing and all the things she has enjoyed in her life. Yet something is lurking in the shadows. The Elders want Sofia, and the Ageless want Derek. Torn apart again, can Derek convince the ageless to tell him where Sofia is? Will Derek be able to find his precious wife before she delivers their children? Ugh, can these two just be together already? Every time there seems to be a glimmer of hope some one or some thing comes in to take that hope away. Will Derek and Sofia be able to find a way to be together again, and what will happen to the children born to Sofia and Derek? The series just keeps getting more and more interesting. The roller coaster seems to keep going and going. There has to be an end soon right? I am loving this story so much. Showing that true love doesn't come easy and always takes work. In Derek and Sofia's case, an insurmountable amount of work. Always fighting for survival can take a toll on a relationship. Based on the true romance of poet Henry Longfellow who was madly in love with Fanny Appleton and devotedly courted her for seven years until finally winning her over. We LOVE Proper Romances in this house. When the opportunity came up to review the new ones coming up this year I jumped at it. These books just make me happy.....Well, in this case a little frustrating ;). This was such a beautiful book. The writing is lovely, and Kilpack put me right into the book. The settings are amazing, and I felt like I got to know the characters on a personal level. 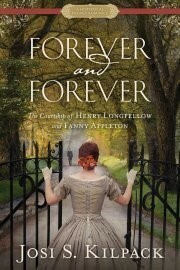 The story of Henry and Fanny's courtships spans over 7 years. Yes, seven, frustrating years ;). I loved Henry from the moment he entered the story. He is kind, passionate about his work, and so very sweet. He was morning the loss of his wife while they were on holiday promoting his book. He meets the Appleton's and let's just say the rest is history. Just a loooong history ;). Henry on the other hand frustrated me in other ways. I loved him, but his pining made me want to slap him as well. I love it when an author provokes such emotions in me. It makes the book that much more wonderful. If you like love stories, then you will enjoy this one. All the Proper Romances are great! This is such a great addition to the series.... The time line at the end of the book is fantastic as well! All in all this story was beyond fantastic! Pick it up, you won't regret it!! Source: I was given this book in exchange for an honest review. I was not compensated in any way for this review. These are my own personal thoughts on the book. I wrote my first book while on bed rest with my third child in 1998 and haven't stopped. 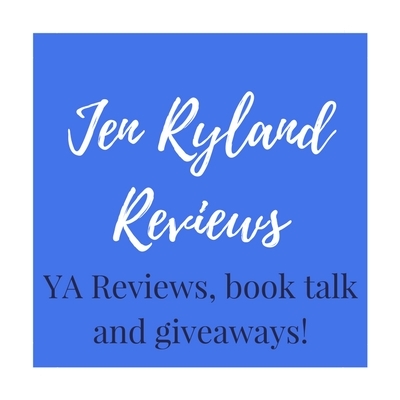 My most recent books have been The Sadie Hoffmiller Culinary Mystery Series and "A Heart Revealed," a Regency Romance novel. I currently live in Willard, Utah with my husband, children, and cat. When Emilia suddenly appears again on the island, Derek is both terrified and intrigued. But this time, he is determined to involve Sofia and discover who this woman is. A new character is brought into the series again. Will she be a good influence or a bad influence. Derek is intrigued by this new mysterious person. She seems to haunt his dream and consume his thoughts. He feels guilty because he knows he loves Sofia. Derek knows he cannot hid anything from Sofia, and so he involves Sofia in the finding out of who this girl is. Emilia, begins to become a thorn in Derek's side. Emilia believes she is the only "true" love for Derek Novak. When Sofia discovers who Emilia really is, she fights for what she believes in. She fights to keep Derek safe, and to rid the Shade of Emilia's influence. When will Sofia and Derek be able to be alone and live their lives together? It's killing me. I just want them to be together dang it :). I love how each book brings more to the story. It's getting more and more complicated in each book. Will true love really conquer all? I cannot wait to find out. Since the implosion at The Oasis and Derek's stay at Hawk Headquarters, The Shade has fallen into a state of utter chaos. To make matters worse, the citizens of Derek's kingdom have become suspicious of his loyalties and accuse him of siding with the enemy... At a time when Derek desperately needs full cooperation from his subjects, they wish to put their own King on trial. Meanwhile, Sofia is being held hostage by the hunters. They are determined to rid her of her infatuation with the vampire. She submits to the strict routine and training they impose on her, but the only fuel that keeps her going is the thought of reuniting with Derek - something Reuben is fighting with every fiber of his being to ensure will never happen. ...Until one day, out of the blue, Reuben appears to have a change of heart and comes to Sofia with a proposal; a solution that she never dreamed possible. A solution that would fulfill her heart's deepest desires and secure her and Derek's future together, forever. Sophia's life just keeps getting more and more complicated. When she finds out her father is still alive and one of the head vampire hunters, she doesn't quite know how to handle the situation. Her father keeps her captive determined to knock some sense into her. Train her in the ways of the Hawks (vampire hunters), in hopes that she will loose all her feelings for Derek. Much to her fathers dismay, Sofia will always remain loyal to Derek. When Sofia's father finally realizes that he is never going to changer her mind he comes up with a plan to get her back to the shade. Sofia doesn't know if his intentions are real or not, but she takes advantage of it and returns to her home at the Shade. Sofia is determined to make her father see that all vampires are not bad. Will she be able to accomplish this or not? I love that this story keeps building on itself. Every book brings more characters, more complications, and more excitement. I cannot stop listening. I am finishing the books each day. They are fast, fun reads. And a sinister secret lies in wait for Sofia within the bowels of an Egyptian desert ... a secret that threatens to crush her sandcastle much sooner than she could have expected. When Derek's father returns to The Shade, things become darker again. Derek's brother and Father are taking over the Shade, and Derek thinks that it will solve some of the problems that are going on. Much to his dismay things only seem to be getting worse between Derek and his father. Derek's father wants nothing more than to destroy Sofia, and bring his son back from her clutches. When Sofia is taken away yet again, Derek of course realizes that he is better with Sofia at his side. The Witch at the Shade has been trying to convince Derek over and over that he must remain with Sofia for the prophecy to come to pass. The story continues and doesn't miss a beat from book two. The story just keeps building and building, and more and more things are being found out. 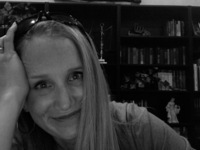 Sometimes it can be so frustrating because I want things to work out a certain way :). There are new bad guys in each book, and new alliances in each book. I love seeing the books come to life. I cannot stop listening. When Sofia Claremont was kidnapped to a sunless island, uncharted by any map and ruled by the most powerful vampire coven on the planet, she believed she'd forever be a captive of its dark ruler, Derek Novak. Now, after months of surviving an endless night, the morning sun may soon rise again for Sofia. Something has possessed Derek's heart and he offers her a gift no human slave has ever been given in the history of his cursed island: escape. But will she be able to forget the horrors that steal her sleep away at night? ... Or the feelings that haunt her for that tormented prince of darkness? After spending time with Derek in The Shade, Sofia decides she has feelings for Derek. Derek knows that he loves Sofia and knows the only way to keep her safe is to send her back to her home. Sofia longs for home and her best friend Ben. She has never had a "real" family, but Ben's family has been her family since she was very young. Crazy things are happening at the Shade and Sofia seems to be in the middle of it all. Some believe she is the answer to a prophecy made hundreds of years ago. Derek knows that he must send Sofia back home to keep her safe. While home she and Ben give their relationship a "real' try. Yet, Sofia knows that her heart belongs to Derek. Whether it is good for her or not. She is being pulled in so many different directions. When Derek's sister comes searching for her to help save the Shade, Sofia realizes that her real home will always be at the Shade with Derek. Again, this book drew me in. It was a quick listen and so much fun. 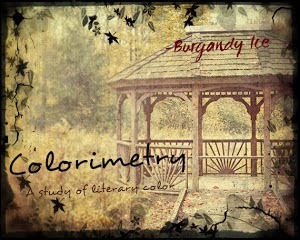 The narrators are so wonderful. It's fun to hear the characters from different people. The story flows from the first book to this book very well. I love the the world that Forrest has brought to life in this series so far. I am excited to finish the series.